What can be synced between Office 365 accounts and organizations? Office 365 brings a brand new point of view if it comes to data sharing and cooperation. Since you can access your account from any place in the world, as long as you have access to the internet, group work became much easier. However what exactly can be shared and synced in Office 365? Does it work the same in OWA as in Outlook? Sign in with your 365 account and open OWA (Outlook). Open the Calendar as per the image below. 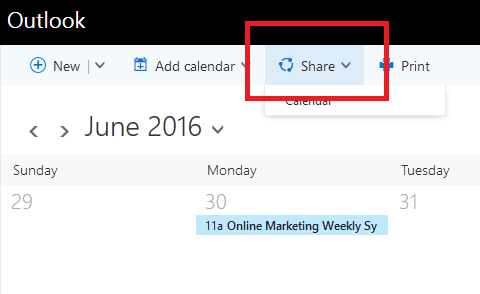 Click the Share icon and select the calendar you want to share. The sharing invitation composer will pop up. In the Share with field type in names or emails of users, you would like to share your calendar with. Once selected, you can assign these users with specific access rights and decide what to show them: your availability only, limited information (subject, time and location of the appointment) or all details. Edit the subject line if you wish, then click Send. Each of the selected users in step 5. should receive your sharing invitation now. It’ll reach their mailboxes just like an ordinary email but be containing two additional buttons: one to accept the invitation and add your calendar to their view, and second to send back similar sharing invitation but for their calendar. Once the recipient accepts the invitation and clicks the Add Calendar button it appears in the left pane, under People’s Calendars section. Keep in mind however that when you send such invitation to the different, non-federated organization it will contain a link just to the read-only version of the shared calendar. Another drawback is that shared calendar is not accessible on mobile devices (unless you use mobile OWA app or open OWA in the mobile web browser). If you want to create one common calendar for a group of users then the solution is to use the shared mailbox functionality. Click Recipients, then Shared tab. Click Add (“plus” icon). A new window pops up. In the Display name type the name of the mailbox (e.g. Company Share). You can use the mailbox name also as the email address in the Email address field below. If you wish, you can also add users to the Send as list at the bottom of the window, so they can send emails from the shared mailbox. Hit Save. After a couple of seconds, you should see your newly created shared mailbox on the list in the Recipients section, Shared tab in EAC. 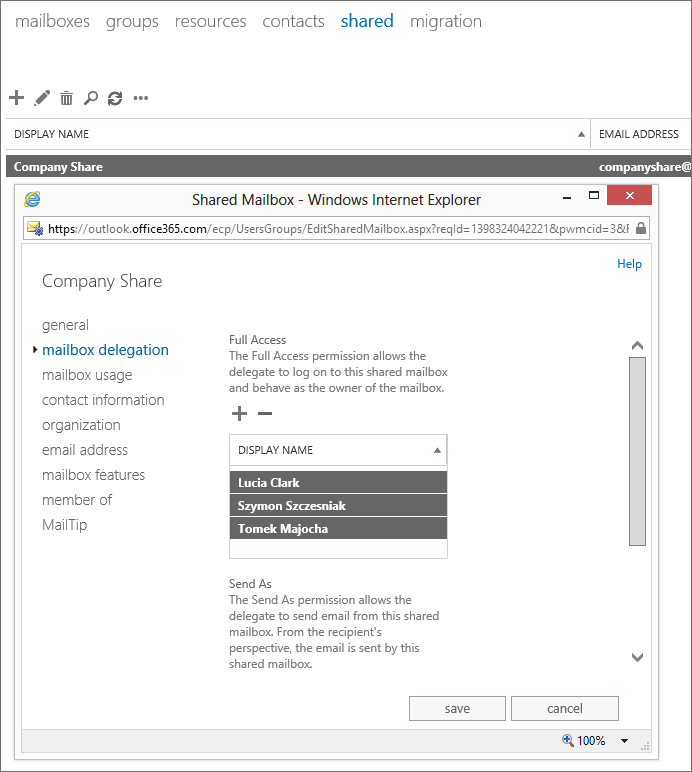 Double click the shared mailbox on the list – this brings up its properties window. Click Mailbox delegation to open access rights assignment settings. Under Full Access, click the add button and select users that you want to grant full access rights to the shared mailbox. Once you select users – click Save. At this point, you have a shared mailbox named Company Share with a number of users that have full access to it. Sign in with Office 365 credentials. On the left-hand side, right-click Other calendars and from the menu select Open calendar. In the new window type the name of the shared mailbox in the From Directory field and click search. Once the mailbox is found click Open. Calendar from the shared mailbox should be now visible in the left pane. The user can now create appointments in the shared calendar that are automatically visible to all with appropriate access rights to the shared mailbox. Additionally – they can modify or delete existing and create new appointments if the need arises. Unfortunately shared mailboxes are not supported by mobile devices. In Office 365 you can also share contacts. Steps required to achieve this are identical as for calendars described above – you can share your own contacts folder or utilize the shared mailbox capability to create group contacts folder. You can even utilize the same shared mailbox that was already created for calendars. However, the big shortcoming is that you have to use Outlook mail client. OWA does not support contacts sharing so far – you cannot access shared contacts folder with it. 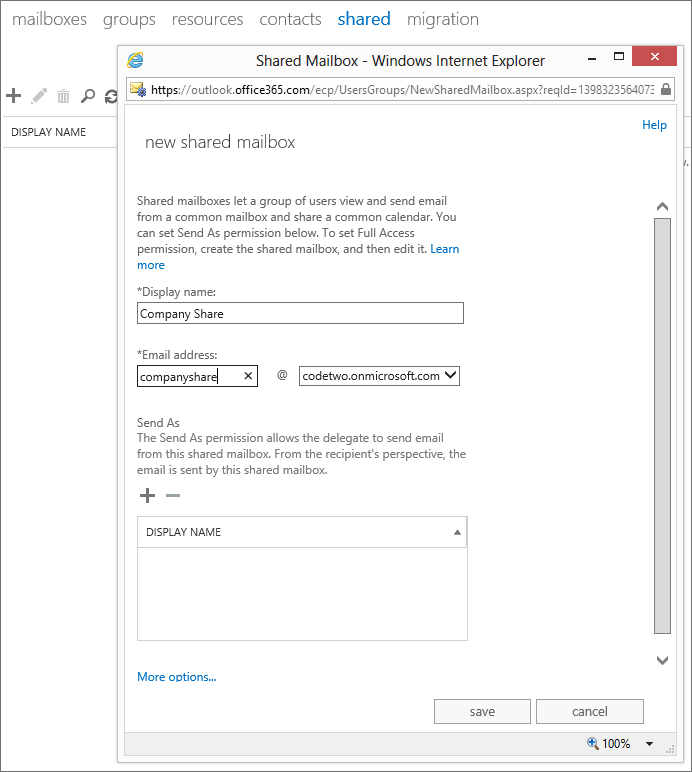 The good thing is that in Outlook the shared mailbox’s contacts folder appears automatically and no additional steps are required. Similarly to shared calendars – shared contacts are not supported by mobile devices. Office 365 allows sharing both – calendars and contacts outside your organization. For example, if you type in the sharing invitation an email address of the external recipient, the user receives it with the hyperlink to the shared folder and can view it in the web browser (or Outlook). Unfortunately, external users can only read/view that information – they cannot add new or edit existing appointments or contacts. That kind of interaction is available only within an organization or when two organizations are federated in a trust. Office 365 is all about sharing. And if we talk about internal sharing, within the organization and using Outlook – it is quite flexible. Unfortunately, problems arise if the user wants the same kind of experience in OWA or on mobile devices – here options are often limited and usually only third party apps are providing some additional functionality. One should, however, bear in mind that the Cloud is one of the most dynamically changing environments, plus Microsoft has full control over Office 365, so the future may bring some interesting changes. 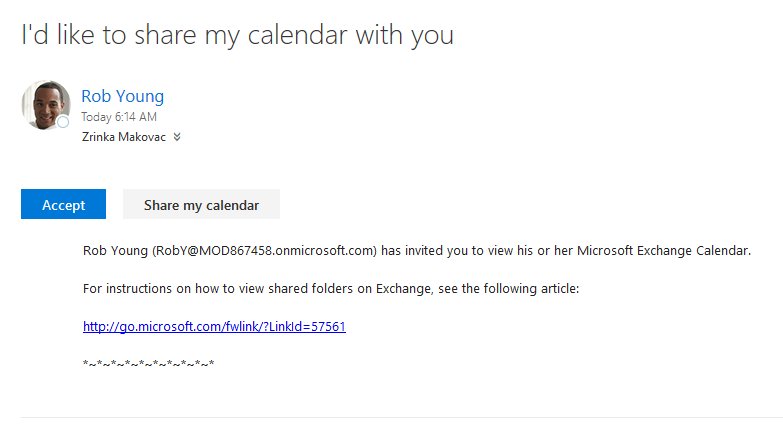 Sharing Calendars in Office 365 is full of bugs. In an office with only 7 users, we can share the same calendar with at least 3 different views of the same calendar concurrently. Some users can only view the calendar is non-cached mode, which slows Outlook down, or sometimes a new entry only lasts for a few seconds before deleting itself. We are looking for an alternative, as Outlook 365 is so slow. We are on O365 implementation planning and would like to confirm. if we go for cut over migration and without the Active Directory synchronization. would it be possible for users while using O365 to share calendars among users and edit it also? 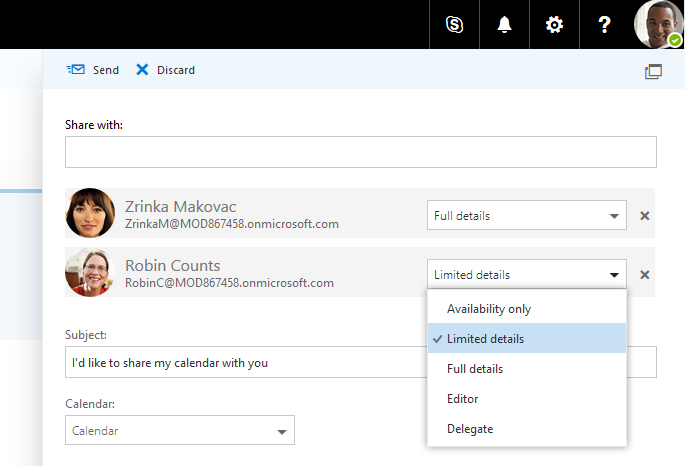 In Office 365 itself, however, users can share calendars as explained in this blog post. This doesn’t seem to work with contacts. I’m trying to sync my windows outlook 2016 program contacts with my office 365 online contacts and there is no share option! We’re been trying for weeks to synchronise contact between different desktop machines without endlessly importing and exporting but so far no go! I assume you cannot sync contacts between different devices either? I’m really surprised they cant figure out an easy way to share/sync contacts/email/calendars between pc and mobile devices. I would think that’s the number one thing everyone wants. Shouldn’t this be Microsofts number one thing to figure out? It is interesting that when a question is asked about synchronizing calendars – which everybody wants to do, given the prominence of multi-device use under Outlook 365 – one is always fobbed off with a long spiel about sharing calendars. The answer, apparently, is: No, it is not possible to synchronize your calendars on different devices under the same Outlook 365 account. It’s definitely not possible to synchronize different calendars with each other (that’s why I only talk about sharing calendars in the article). You can send us a request for a folder synchronization solution for Office 365 via this site: href=”http://www.codetwo.com/admins-wishes. As for synchronizing calendars on different devices under the same Outlook 365 account – can you clarify what issues you are encountering? Also, are you using Exchange ActiveSync (https://technet.microsoft.com/en-us/library/jj945881%28v=exchg.150%29.aspx)? 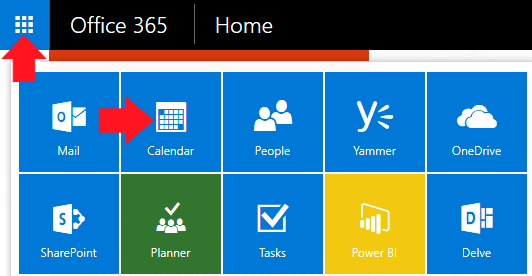 I was wondering if you can sync calendars with office 365. We would like to make one main calendar. If I put an appointment in my calendar, it auto sync to the main calendar. We are all on office 365. I didn’t see if your program would do that with office 365. We currently do not offer a program which can do this. Neither is it possible within Office 365. Follow CodeTwo on social media – if we will have a solution for the issue, we will announce it there.